Image Description: Spring landscape. 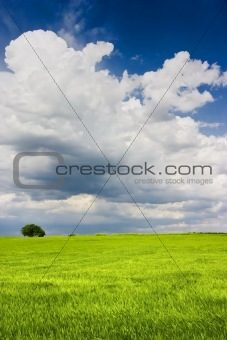 Is a green field full of wheat plants. Is a sunny day with some white clouds in a blue sky. There was a strong wind. The wheat show a little movement (not due focus but the wind).